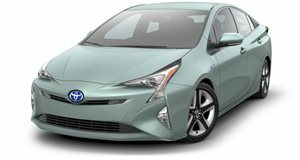 The LA Times is reporting that the Toyota Prius, without question one of the most popular vehicles the Japanese automaker has ever made, could suffer from overheating associated with its electrical system. The vehicle will then stall. Believe it or not, this all started back in 2014 when Toyota issued a safety recall to address an inverter defect for the 2010 to 2014 Prius model years. A total of 800,000 units were affected in the US. Toyota figured a software update for the hybrid electrical would do the trick. Unfortunately, by 2017 it became clear that didn’t work. A second recall was issued in October 2018 after one of Toyota’s largest dealerships in Southern California refused to resell around 100 Priuses they took in on trade because they didn’t think they were safe to drive. The dealership sued Toyota alleging the initial recall was a scam. Fast-forward to today, that second recall also appears to ineffective. Inverters are still getting cooked, according to several Prius owners who agreed to speak with the LA Times. One owner who had the software update done last October claimed that only three weeks after doing so the hybrid warning light lit up. The dealership who sued Toyota doesn’t believe another software update will fix the problem, but rather a newly designed inverter. Doing so would cost Toyota over $2,000 per vehicle. But why is the inverter such a vital and now apparently potentially dangerous component? Because it uses high-power transistors to increase the 200 volts from the hybrid’s battery to around 500 volts. It then converts electricity from direct current to alternating current. And then this process is reversed when the driver hits the brakes and chargers the battery. Toyota issued a statement saying it is "committed to the safety and security of our customers… (and that) we monitor the available information on this issue and would continue to investigate any new information that emerges and take any appropriate action.” The automaker also denies the dealership’s allegations. Toyota did add that the inverter is designed to enter a fail-safe mode in case of failure. Also known as "limp-home”, the vehicle is then able to slowly move out of busy traffic to an emergency lane, for example. Limp-home is obviously better than a complete power loss, but it’s still not something that should be happening in the first place. One Prius driver whose inverter failed had to cross three lanes of fast-moving highway traffic. Another Prius owner was rear-ended when they were in the same situation and suffered a cracked vertebra and a punctured lung. So, the question is whether Toyota is trying avoid an extremely expensive recall with software updates that are supposedly ineffective? This whole issue is still being discussed at the highest levels between Toyota officials and the NHTSA, but so far that California Toyota dealership still refuses to sell recalled Priuses taken on trade-in.